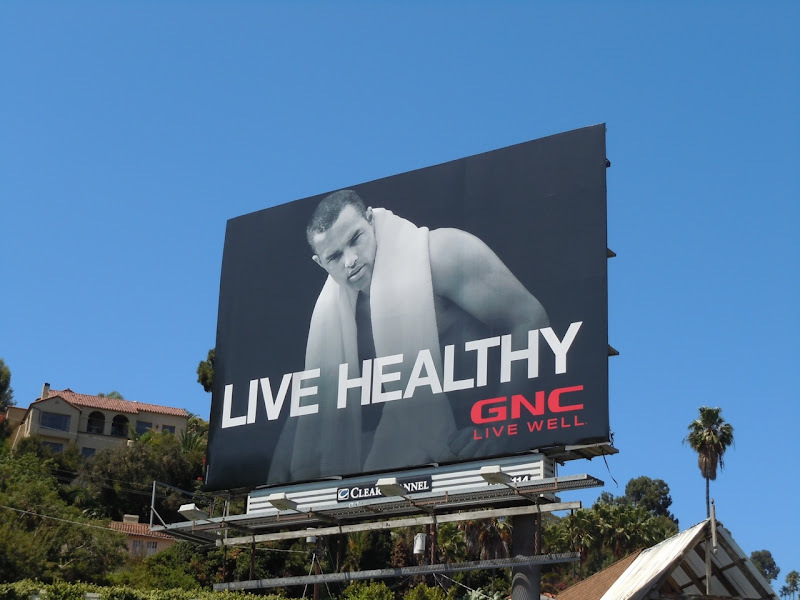 Daily Billboard really likes this mono ad campaign for GNC nutritional supplements and vitamins. They certainly reinforce the promise of living well, whether it be living healthy, ripped, amped or proud. 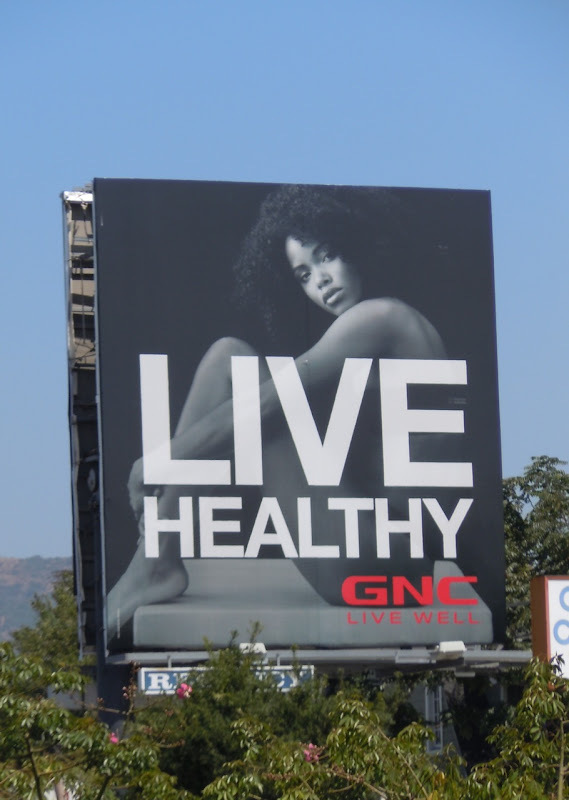 These GNC billboards have been snapped around the streets of L.A. from March through July 2011 and continue to refresh each month with new creatives. 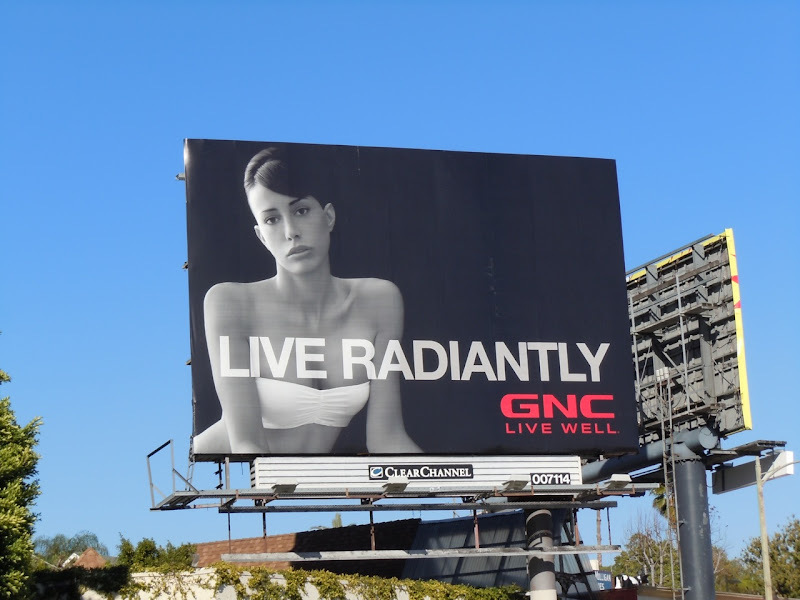 The only billboard that really doesn't live up to the ad strapline is this Live Radiantly version, where the pouting model looks absolutely miserable rather than radiant, or even happy with life in the slightest. 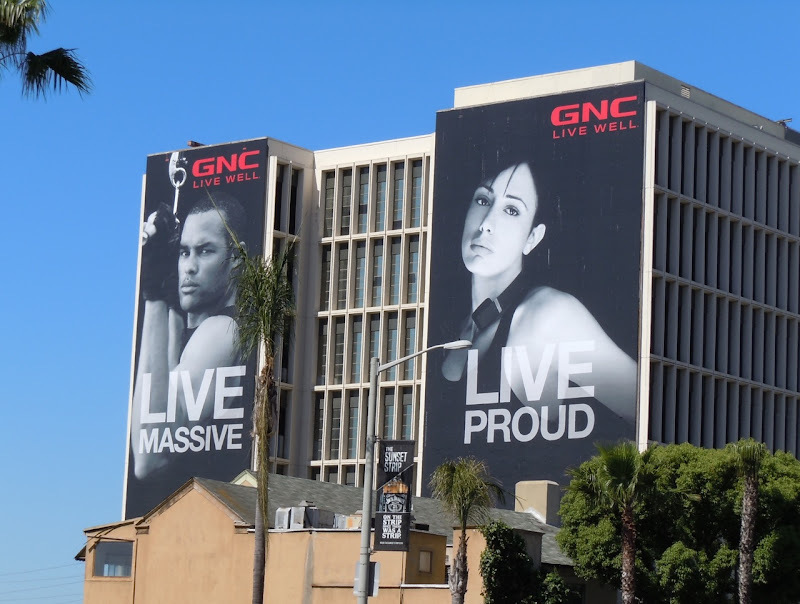 Fortunately the rest of the musclebound billboards are more pleasing on the eye and look much more enigmatic than that one unhappy specimen. 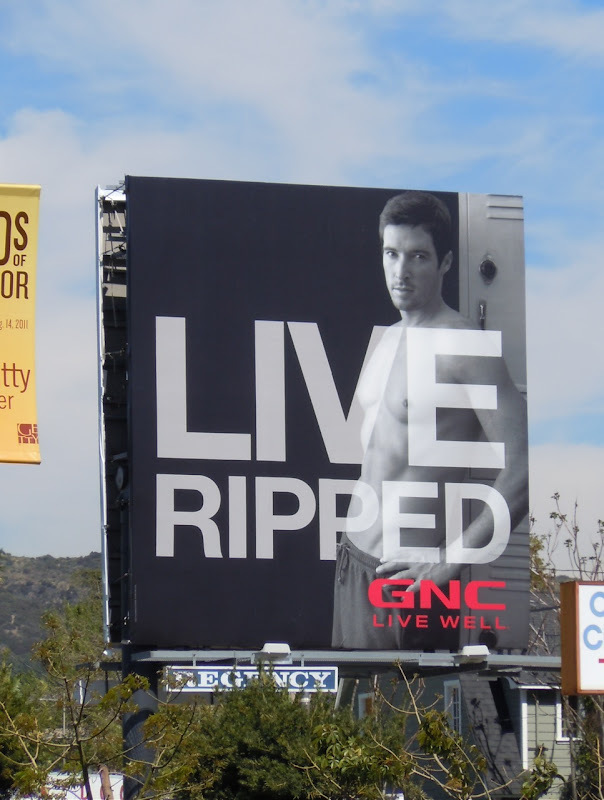 UPDATED: Here's another iteration of this campaign snapped on September 2, 2011, along Fairfax Avenue in West Hollywood. 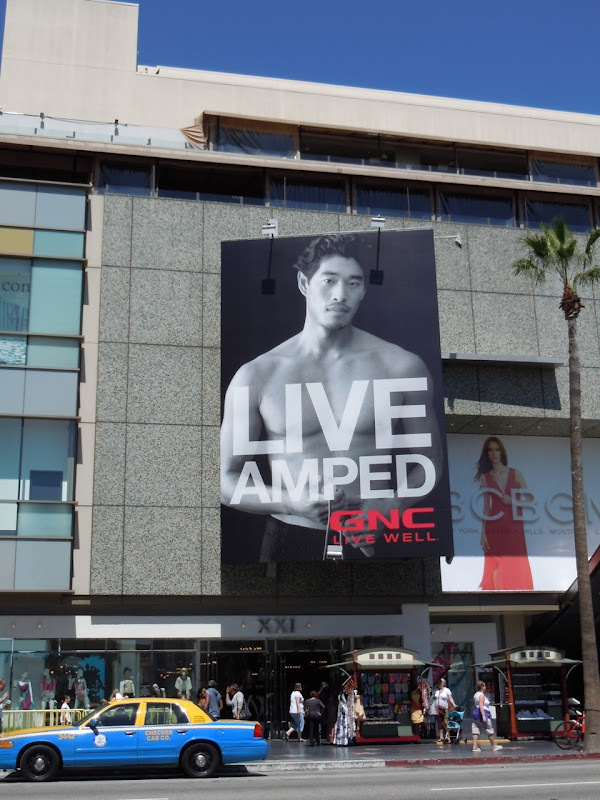 UPDATED: Add one more billboard to the campaign with this Live Hot version captured at the Hollywood & Highland Center on October 12, 2011. 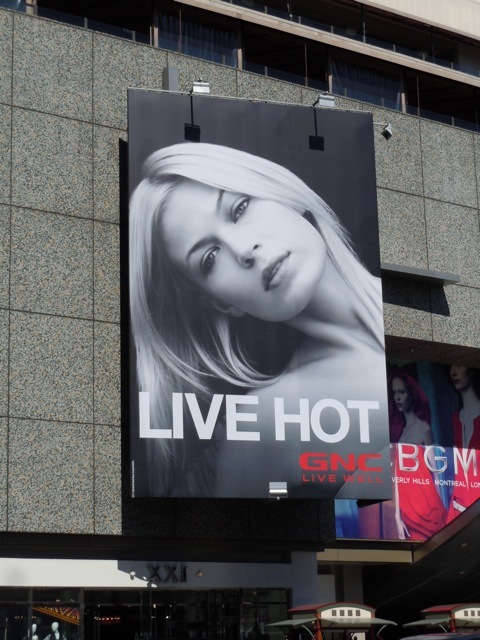 UPDATED: If you like these ads, be sure to check out the GNC Live Well ad campaign for 2012.